Why Is There No NE Or S London Postcode District? Laura Reynolds Why Is There No NE Or S London Postcode District? The price of your house, the school your children go to and even your willingness (or not) to admit to the specifics of your address can change significantly depending which postcode area you live in. If you've ever stopped to think about the London postcode districts, you may have noticed an anomaly or two. We've got NW, N, E, SE, SW, W, EC (East Central) and WC (West Central), but no S or NE. Why have these crucial compass points been missed off? 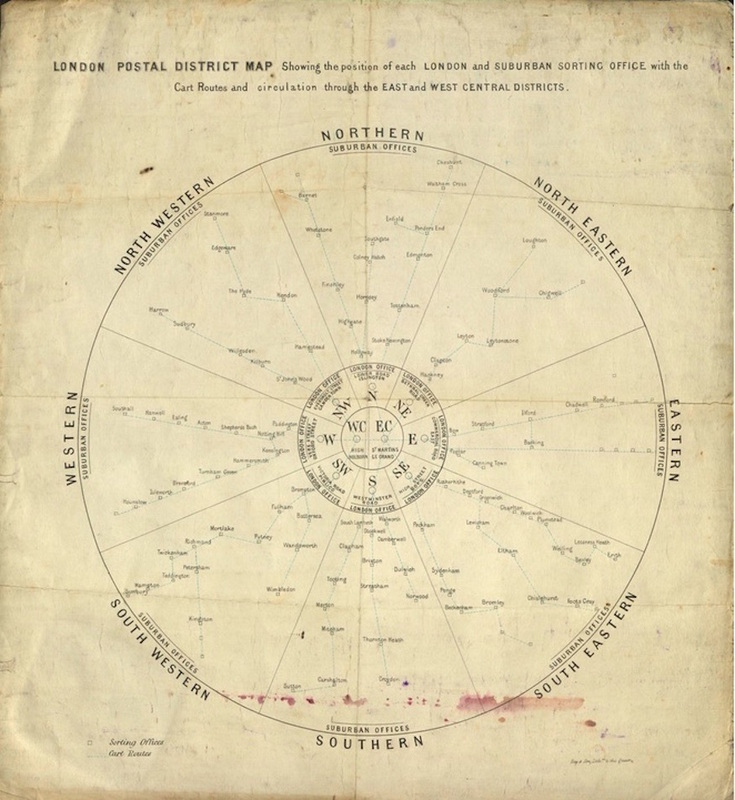 They did once exist, as the map above shows, when civil servant Rowland Hill designed and introduced the London Postal Districts in 1856. But 10 years later, Anthony Trollope, a Post Office surveyor better known today as an author, re-examined the districts. Trollope's findings were that the S and NE districts did not generate as much letter traffic as the others, according to urban historian Helen Kearney. Trollope thought savings could be made by ceasing their operations. The S district was abolished by 1868, its residents merged into the neighbouring SE and SW districts, despite concerns from a local MP. Renaming either the SE or SW district as simply S was considered, to keep this compass point on the map, but this never happened. There hasn't been a S postcode district in London since. The erasure of the NE district was a lot more controversial, according to Kearney. The Post Office closed the NE district in 1867 and the E district absorbed its residents. Fearing a backlash, the Post Office didn't actually tell the residents that their new postcode was E. People still addressed letters to NE. The only change was that NE letters were sorted along with E letters on arriving at the Post Office. In 1869, NE-ers were finally told about the change, and they weren't happy. Many simply rejected it. The street signs in the area displaying NE were kept up (and one still is to this day — see below), and the NE initials were used for addressing letters and for street signs until 1917. In 1897 a doctor led a group of Hackney businessmen in petitioning to bring back the NE district. Why? Simply because they objected to being identified as 'eastern'. They claimed that being associated with east London was harming their businesses. So it's not just today that certain postcodes have social, cultural, and even financial implications. And what of the S and NE postcodes today? NE was adopted by Newcastle and S represents Sheffield. NB. 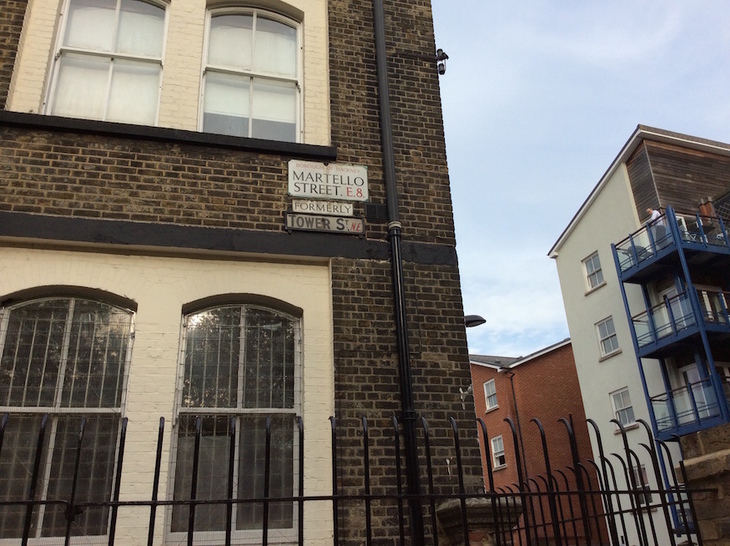 We are aware that other London postcodes exist for outer boroughs of London, often venturing beyond London territory. Hill's original postcode districts only covered a 12-mile (19 km) radius from the central post office at St Martin's Le Grand. Follow Helen Kearney on Twitter. Love your postcode? Show your love for it with an exclusive t-shirt from the Londonist collection. Video: how was your London postcode created?